Verito voted better-looking than Etios, comes close to Dzire! Surprising it is! The Mahindra Verito in its new look not only beats the Toyota Etios flat when it comes to looks, but it almost overthrew the segment leader – the Maruti Dzire, falling short by just a few votes. Mahindra launched a refreshed Verito in July this year and the car has been selling an average of 1,600 units a month, an increase from its 1000-odd average monthly sales levels it used to achieve earlier. These changes to the Verito are what have bumped up sales of the car, as it is now seen as acceptable. Just how acceptable were the changes? CarToq conducted a poll among the community and the results were surprising! Which of these entry-level sedans is the best-looking? Of the total 507 votes on this poll, 202 people (nearly 40%) voted for the Mahindra Verito as the best-looking entry-level sedan. It was really close to the Dzire in fact, which got 215 votes, just 13 votes ahead of the Verito. The Etios got only 90 votes. The Verito comes in two engines choices. The more popular choice is the 1.5-litre DCi engine from Renault-Nissan which is found on everything from the Micra to the Sunny and Duster. In the Verito, this motor makes 65 bhp of power and 160 Nm of torque. It has a claimed mileage of 21.03 kmpl (Diesel) as per ARAI. 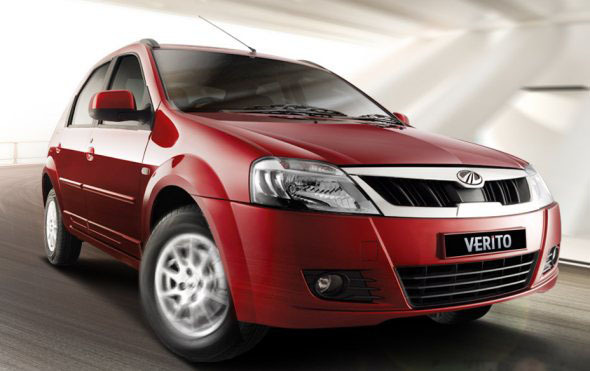 The Petrol Verito sports a 1.4 litre motor that churns out 75 bhp of power and 110 Nm of torque.